Where is the DC Museum of Art? Those of you who are regular readers of this column know that one of my constant concerns is the poor relationship between most capital area museum area curators and VA/DC/MD area artists, and the rarity of interest by most DC area museum professionals in their own city’s art scene and artists. 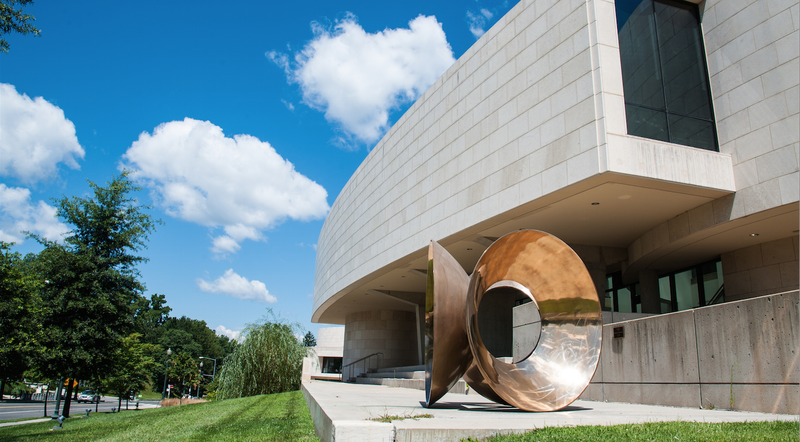 Like anything, there are notable, but rare, exceptions, and Jack Rasmussen at American University’s Katzen Art Museum is an important and critical exception and through the Alper Initiative, the Katzen is ensuring that area artists get the exposure that sometimes only a museum show can deliver. The generous funding that Ms. Carol Trawick delivers through the Trawick and the Bethesda Painting Awards have also highlighted multiple area artists. And one of the unexpected benefits of the Trawick Prize and the Bethesda Painting Awards has been that they have “forced” the hired DC, VA and MD museum professionals and curators to look at the work of artists from the region; some amazing success stories have spawned from that exposure. Area artists should be very grateful to Ms. Trawick for all that she has done and continues to do for the fine arts around the capital region. But getting back on subject and generally speaking, most of the DC area museum curators and directors still find it easier to catch a flight to another city to look at an emerging artist’s work from that city, than to take a cab to a DC area artist’s studio or visit a local gallery. Seriously, when was the last time that a curator from the Hirshhorn visited a local artist’s studio – I cannot recall a single time, but I could be wrong. I’ve been wrong before… once in 1981. Example: I know that I wasn’t the only one amazed to find out that the Corcoran’s Sam Gilliam retro over a decade ago was the first solo museum show (at the tail end of his career) by arguably DC’s best-known painter. And Gilliam’s career received a nuclear boost unlike anyone had seen in these neck of the swamp! A decade later, his prices and visibility have skyrocketed! And I am sure that the fact that then Corcoran curator Jonathan Binstock’s PhD work was on Gilliam had a lot to do with the Corcoran’s decision to focus a solo on a DC area legend. 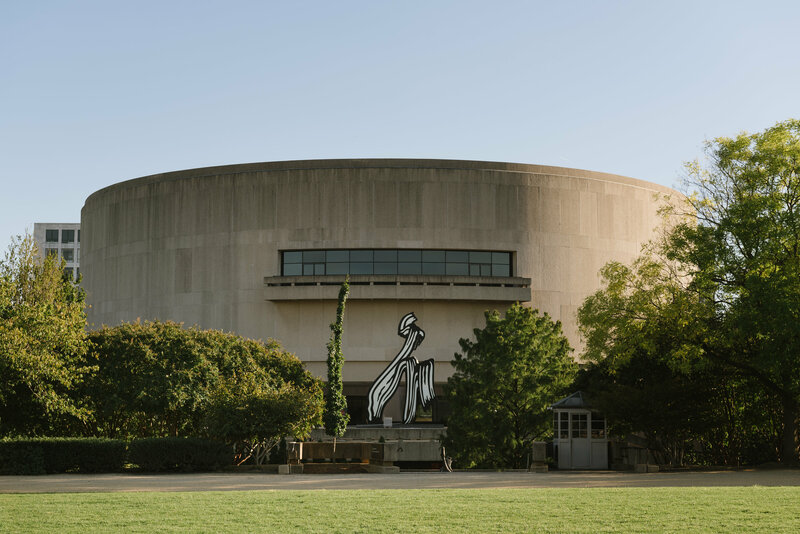 The rarity of local focus is also caused partially because of the fact that DC area museums generally tend to think of themselves as “national museums,” rather than as “city museums,” like all other major cities in the world have. We have no Washington Museum of Art. Furthermore, because of the sad lack of coverage by the DC local media of the DC local art scene and events, museum professionals would have to spend more personal time (which they often lack) to “learn” about DC area artists and galleries, rather than learning from reading, as they do about what’s going on in NYC and LA and Miami and Seattle from the national magazines, or perhaps the coverage that those cities’ news media gives to their local arts. And thus it takes an “extra” effort on the part of a DC museum curator to get his or her interest aroused on any event in the local scene. Some of it is networking (a big name museum donor requests a visit to a gallery or a studio), some of it is financial (they are paid to jury a show), and some of it is accidental (such as a curator admiring the work of a “new” artist in a LA gallery only to be told that the artist is a DC artist); this actually happened. In fact, all of these have happened in my experience. If anyone does ask, please email me the response.